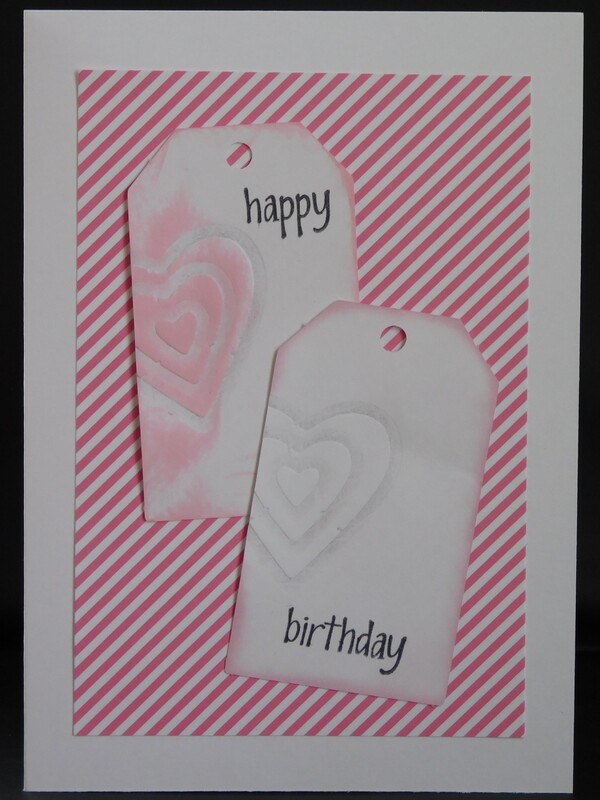 This card's focal point was created using the Embossing with a Die Technique. 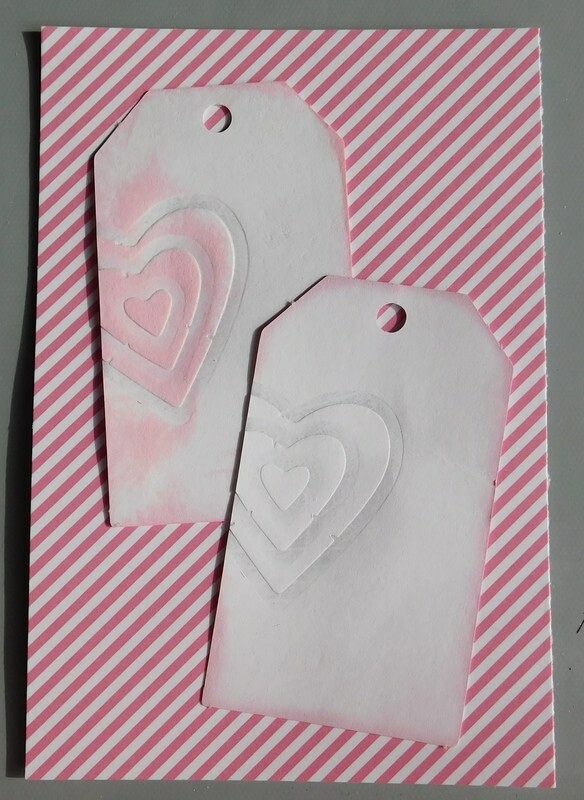 Once you have completed the focal point of your project using the Embossing with a Die Technique, you can now turn it into an awesome project. 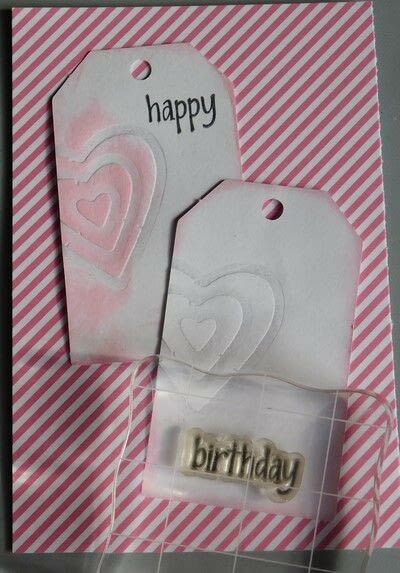 Place the focal points onto the patterned paper. 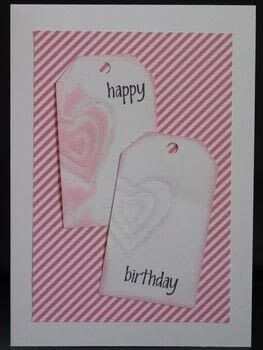 Here the two tags from the technique tutorial were used for this card. Stamp the sentiment onto the card. 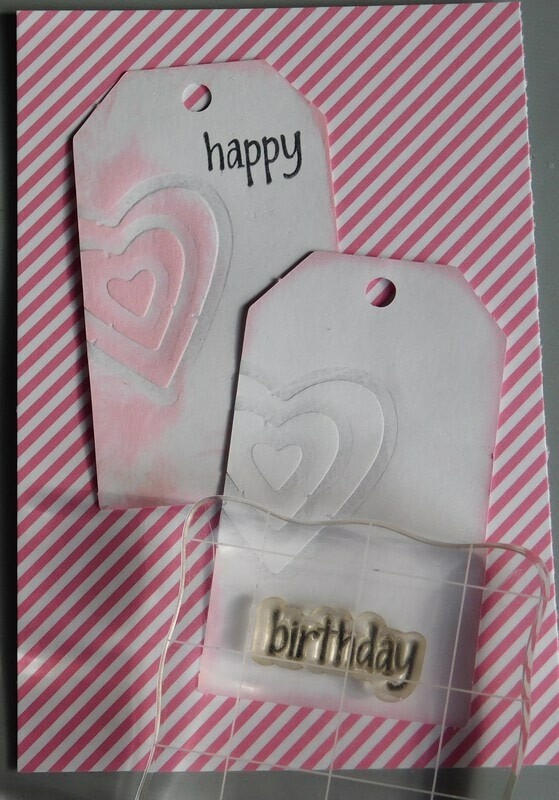 It does not have to be stamped onto the focal pieces if you do not want it there, but with the tags it is the perfect place for this birthday sentiment. 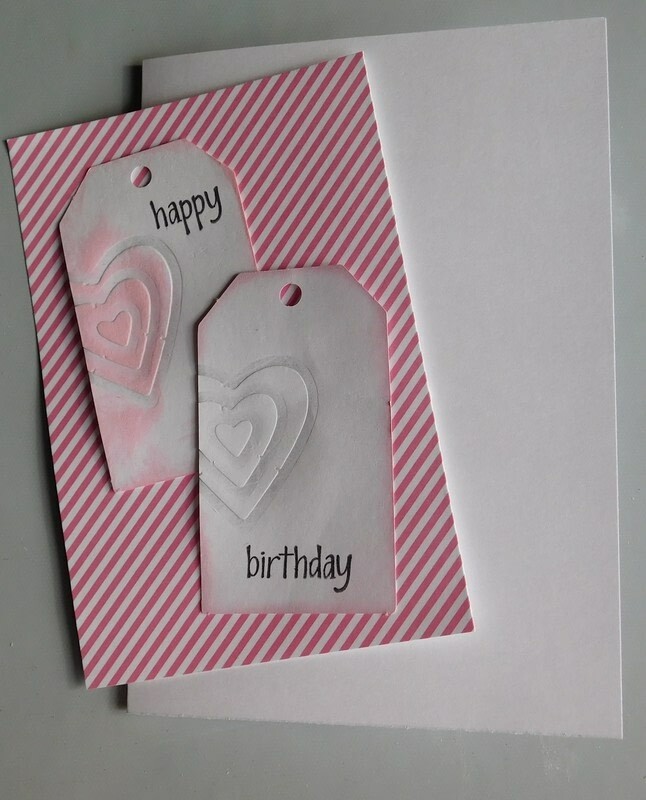 Attach the patterned paper with focal pieces attached to the 5" x 7" card base using the tape runner. Your project is now complete and ready to share!